Hand made from the finest genuine leather. A proudly South African Product. 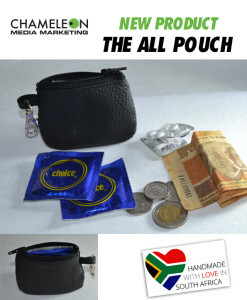 This versatile pouch can carry up to 4 condoms / Money/ Medication or Keys. Size of pouch 75mmx65mm. Branding is possible logo can be de-bossed. This Condom Holder Pouch can take upto 4 condoms. We can manufacture this pouch from leather or PU Material.